Money - for most of us it’s hard to make and even harder to keep hold of. Even if you are smart and you do save your money, it can still slip through your fingers when some unethical so-and-so decides to steal it from you! Unfortunately, the elderly are prime candidates for being defrauded out of their own money, particularly when they become sick. You see, not only do they have to contend with spam emails, phishing, dodgy telephone calls and fake lotteries, but unfortunately, some of them also have to deal with friends, family members and carers who would be only too happy to take what isn’t theirs. Perhaps, the best way to avoid elder fraud is by giving Power of attorney to a trusted family member, or if that’s not possible a lawyer, which can be evoked when you or the elderly person you’re worried about’s capacity has been proven to be lost. It’s also sensible to ensure that you/they know about the latest scams and to ignore them/ take measures to protect their devices from scammers. Anyone of any age can be ruined by investment fraud. There are lots of great financial advisors out there, most of whom will do their darndest to ensure that your money is well-looked after, but there are a few rotten apples too. Bernie Madoff, for example, is a prime example of a financial advisor turned rogue, and you know how much damage he caused! 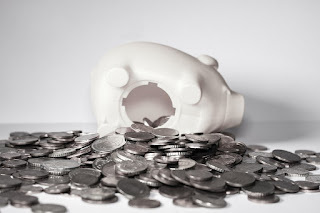 Keeping your money safe when you invest, however, does not have to be difficult. If you stick with independent brokers and investors, then all of your money will be held by a sizeable brokerage house, and you will be able to check with them that your money is there! As long as you check your statements regularly, you should be fine. If you have money in a business, corporate fraud has to be a worry, not least because traditionally it was only found out after an allegation or tip-off has been made. If the fraud has been going on for a while undetected, you can lose a lot of money, and the perpetrator can get away with it! Thankfully, there are now companies who offer digital analysis and a whole lot of other services that help to identify and stop corporate fraud once it has been suspected. Of course, having someone independent keep a regular eye on your books is a good way to ensure that any fraud gets caught faster than it might have in the past. Hopefully, this will help you to identify and protect yourself from three of the biggest kinds of financial fraud out there right now! With technology being as advanced as it is, it’s never been easier to defraud someone - the criminals know that - so you need to know how to stop them!